Are Your Tampons Killing You? The women in tampon ads are always so carefree, almost to the point of being farcical. No matter how much you trust your tampon, most women don’t rush to throw on white spandex and twirl when they have their periods. Still, despite the cheesy advertising, tampons are the rare feminine product that women could feel carefree and good about. They’re practical, useful, and, unlike say douches or push-up bras, don’t make us feel like what we’re working with isn’t good enough. Lately, though, the safety of tampons has started to be questioned, both because of recent cases of toxic shock syndrome (which is often caused by tampons, but not always) and new tampon companies who claim that the tampons we’ve been using aren’t safe. Woman are taught to fear toxic shock syndrome (in shorthand, TSS) as soon as they start using tampons (TSS is caused by a bacterial infection gone awry; a tampon can help the bacteria build up in your body). The recent cases of the disease only reinforce the fact that it’s very scary. Take 15-year-old Rylie Whitten in western Michigan, who had a near-fatal case of TSS this month. One day in early January, she complained to her parents that she wasn’t feeling well. That night she was so ill that her parents rushed her to the hospital. At the local pediatric intensive care unit, her heart and lungs began to fail, and she was put on life support. Doctors diagnosed her with TSS, contracted through tampon use, and though she’s off life support now and improving rapidly, she will need lots of physical therapy to recover completely. Hers isn’t the only case that’s occurred in the last few years. Model Lauren Wasser got TSS in 2012 because of a tampon and had to have her leg amputated. (Wasser is suing Kimberly Clark, the company that makes the Kotex brand of tampons that caused her TSS). And a 13-year-old in Wales died from TSS in 2013 after her doctors initially misdiagnosed the disease. New tampon makers are also piling on the fear factor by marketing organic or all-natural tampons that they say are safer than what’s currently sold at the drugstore. Lola, a startup that launched in 2015, delivers a monthly supply to your door and makes its tampons only from cotton, which they say is better for you than other rayon-cotton blend products on the market. (Tampax and OB tampons, for example, are both made of cotton and rayon.) Jessica Alba’s Honest Company launched a line of organic feminine-care products in July. Alba says she wants to give women “healthier and safer options.” A soon-to-launch company calledCora plans to sell monthly subscriptions of organic tampons and, for every subscription it sells, donate a monthly supply to a woman in India. But should we really be questioning — and rethinking — tampons as we know them? Are our monthly go-tos not safe? The ob-gyn experts say there’s no reason for alarm; natural tampons aren’t any safer or healthier than traditional ones. “There is no clear advantage to using organic tampons,” says gynecologist and hormonal wellness expert Rebecca Booth. Nonetheless, rumors about standard tampons being unsafe and unregulated got so bad that last March the FDA issued a statement to reassure tampon users. The agency confirmed that there is no evidence that there’s anything harmful in tampons currently available (and that they have been — and will continue — regulating the industry). Vicki Reed, an ob-gyn at the Cleveland Clinic, says the thinking that ordinary tampons are no longer good enough comes mostly from the startups making organic tampons that promote the idea that natural is better — it’s the same thing we’re being told about our food or beauty products. A new Consumer Reports study found that 62 percent of Americans buy food that’s described as “natural,” even though the majority don’t know what that label means. Tampons first got some bad buzz in the 1980s when a brand called Rely was recalled after being found to increase the risk of TSS (more than 400 women complained that it gave them the disease). The brand was designed to be super absorbent, a quality that helps keep your clothes stain free, but also causes the bacteria responsible for TSS to build up (the super-absorbent materials that were used in the Rely tampons have since been banned by the FDA as well). Now all tampons come with a warning to change them every four to eight hours, something that Dr. Reed says you should abide by. Plus, try to use the lowest absorbency possible. But there’s no evidence that non-organic tampons are any more likely to cause TSS (or that natural tampons are less likely to cause it) and, overall, the risk of getting TSS today is very low, affecting less than 1 in 100,000 women. “According the Centers for Disease Control, the rate of all menstrual-related TSS was less than 1 percent,” Dr Reed says. If you’re worried you might be experiencing TSS, however, the warning signs are flu-like symptoms or rashes. 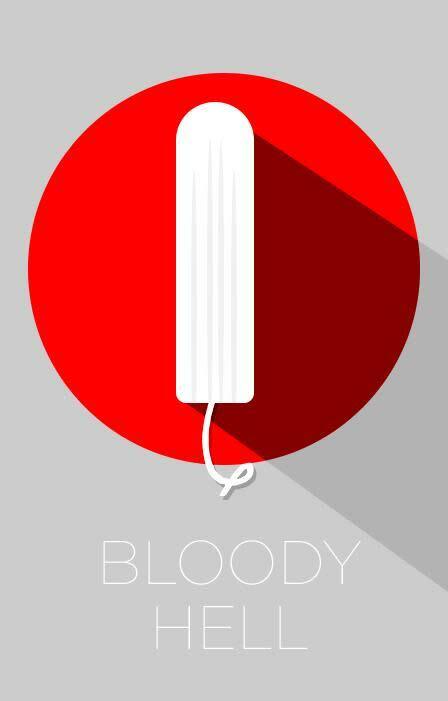 Or if, no matter what, you want to stop using tampons altogether, you might want to try “free bleeding.” During your period, you don’t use a pad or tampon and instead “free bleed” into a thicker pair of underwear made especially for menstruation. The undies have extra-reinforced material that absorbs liquid and are safer — and more subversive — than an organic tampon will ever be. ← What Does your Zodiac Sign Say about Your Health?